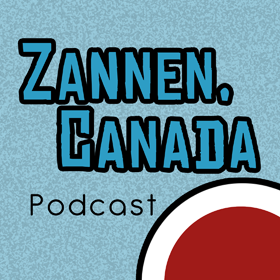 This episode I'm joined by Lance Heiskell (former Director of Corporate Strategy for FUNimation Entertainment) and Karl Olson (nerdcore rapper Ultraklystron) to talk about anime streaming and simulcasts in Canada. Geoblocking and the inability for American companies to understand the problems with it, the ethics of VPN use, and weighing streaming and broadcast as forms of discovery are all on the agenda. 9:00 – Running down the streaming situations of FUNimation, Netflix, Sentai, and Crunchyroll. We also touch on Quebec rights and just can’t resist talking a bit about broadcast and MuchMusic. 37:00 – Why some companies only use Hulu for streaming, and will they ever change? 1:05:00 – If we can’t get this figured out in North America, what hope is there for global streaming? 1:16:20 – Reminicising, simuldubs and some gushing over Shirobako.